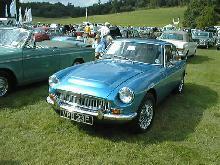 Introduced alongside the roadster variant the MGC GT made its debut in 1967. 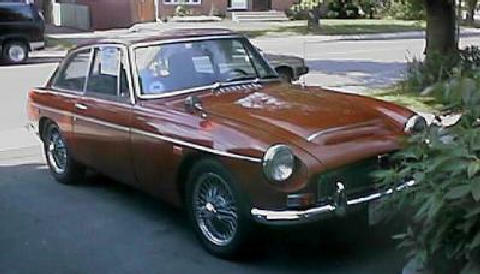 The MGC GT used a modified MGB bodyshell and featured the same 15" wheels and raised bonnet as the MGC roadster, both of which gave the MGC GT an aggressive stance. 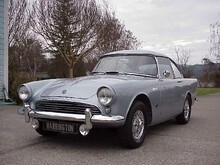 The MGC GT used exactly the same engine as the roadster, this unit being a tuned version of the reworked C-Series engine used in the Austin 3 Litre saloon. 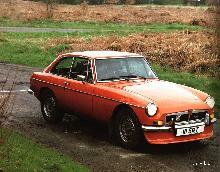 The standard MGC GT production cars performed well and were capable of 120mph. Unfortunately the heavy 6 cylinder engine carried a weight penalty which was said to effect the cars handling characteristics. 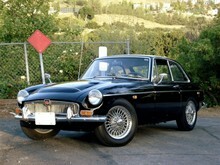 Along with the MGC roadster the GT was quietly dropped from the BMC range in 1969. Despite criticisms about the cars handling, its potential for relaxed high speed cruising has ensured a healthy following in today's classic car market.